Sometimes life rips the rug out from underneath your feet. And that’s how Loren felt when she lost most of her vision in her early twenties. Loren was diagnosed with glaucoma when she was just a toddler. So her sight has never been perfect – but it had been good enough for her to do everything she wanted. She had a job she loved as an apprentice hairdresser and was a busy mum of two beautiful children. She had her whole life ahead of her. But when Loren lost her sight, that life she loved was gone in an instant. 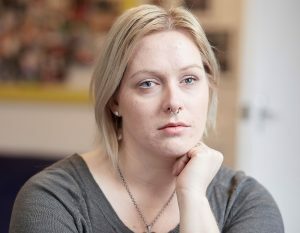 “It really did make me feel like I was alone and hopeless…and that I would have to be looked after.” To say it knocked her sideways doesn’t begin to describe it. When she was younger she’d been told she may lose her sight much later in life. That had been hard to come to terms with then. Going blind – so suddenly and so young – all but destroyed her confidence. When Loren lost her vision, she lost faith in her capabilities. She became very isolated and afraid to even leave the house. But your gifts to the Blind Foundation have helped her, and others like her, to get back their confidence and start living again. 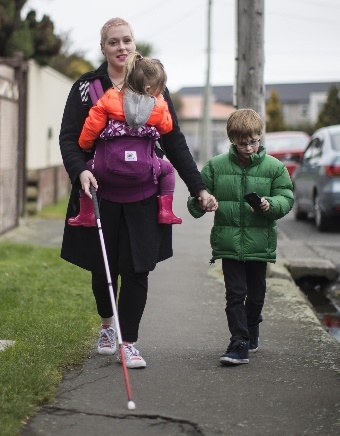 After losing her sight, Loren had to give up hairdressing and her daily life became very hard. Going to the supermarket became so stressful that she stopped going shopping, relying on her husband for nearly everything. She felt she’d let her children down. After a while, she stopped going out at all. Loren says that getting her white cane was “massive” for her and helped her regain her independence and freedom. 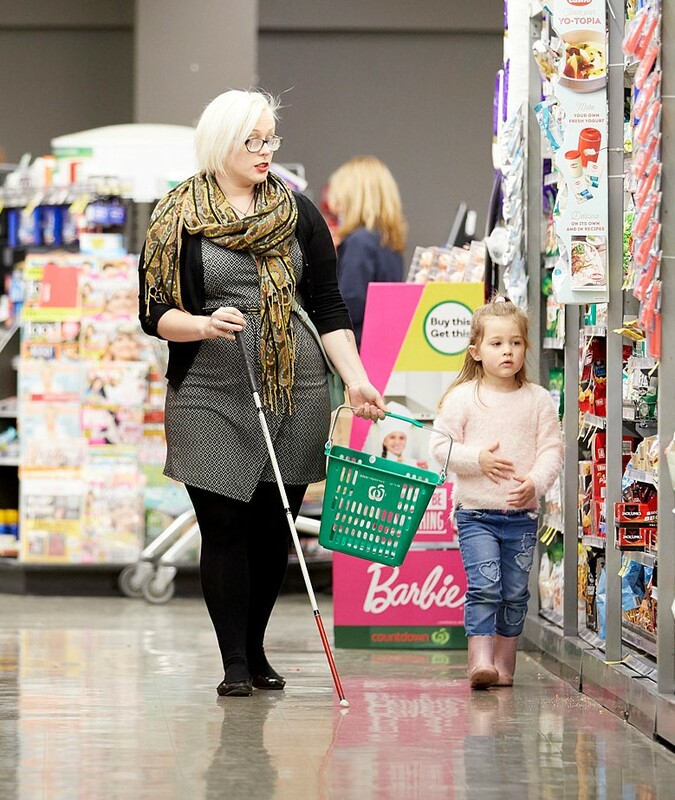 With the help of Kat – a Blind Foundation specialist – Loren built up her confidence by using her white cane to get around. She crossed the quiet streets near her house and could gradually walk further on her own. 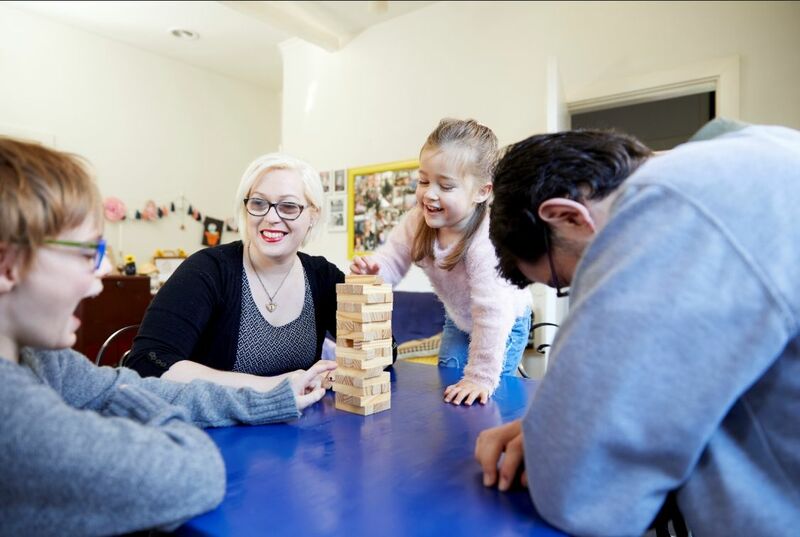 When Loren lost her sight, she lost her confidence and self-belief and wondered how she’d take care of herself and her children. Now Loren takes her children to school, appointments and activities by herself. With encouragement from her counsellor, Loren gained the courage to join some of our social groups. She rekindled her creative passions with the art group and discovered a new love for cricket. 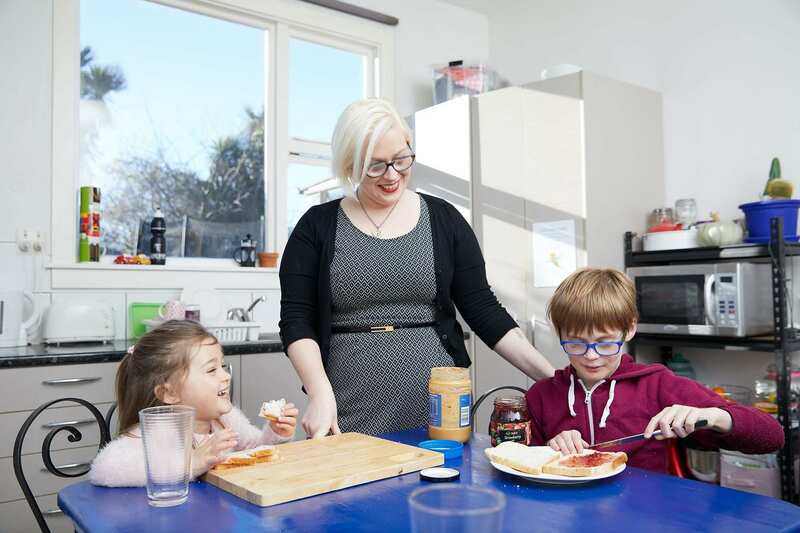 Today, Loren is not only an independent and confident mum, she is living a creative, vibrant life. And she is full of excitement for the future. Please donate today to help give others like Loren the support they need to live with confidence and independence.